Item No. 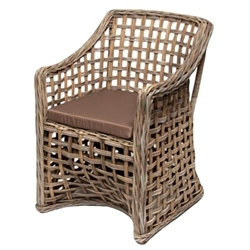 903 Rattan Open Weave Arm Chair with cushion. Great for dining, talking or just a comfortable place to sit.